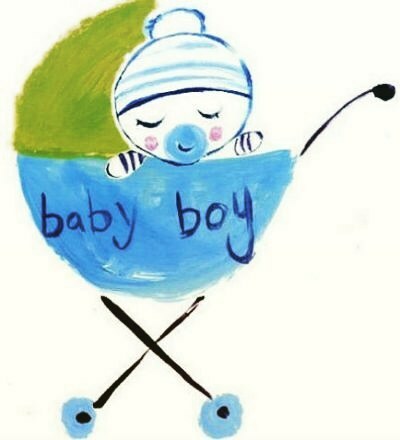 The stork brought us a boy! Exactly one year today, your daddy was the happiest on Earth. On this day, our doctor guaranteed that you were 101% boy! You should have seen the look in your Dad's eyes while our doctor was hovering the mouse over your tiny bird, as she called it. He was the happiest. He prayed for a boy, we prayed for you. And you were given. That night, your Dad called our friends for a party. I cooked for them, they drank till the wee hours in the morning just exchanging stories. It was indeed a celebration. My Facebook post was a hit! See how happy they were for me? Fast forward to this year, your Dad and your big sisters are here in the bed with me, playing Arcane Legend while I am checking the stock market and writing this. You, are in the same room, in your spot. I made you paper flowers, you liked it? Last night, as I was arranging my bags, I saw one of your bibs. I probably left it after one of our trips. I smelled it and put it close to my heart. I missed you so much, Fordy. But I did not cry. I don't want you to see me crying, I want you to know that I am okay. I am fine and I will get through this, I promise. Thank you for watching over me, Bubut. Did you know that last night too, I lost my wedding ring? I was worried your Dad will get mad. But this morning, Yaya Cel texted me that she found it, in the bed! Did you help her find it? I know you did. Thank you my loves. I will be sleeping now, I have work tonight. See you in my dreams? I love you till hell freeze over.